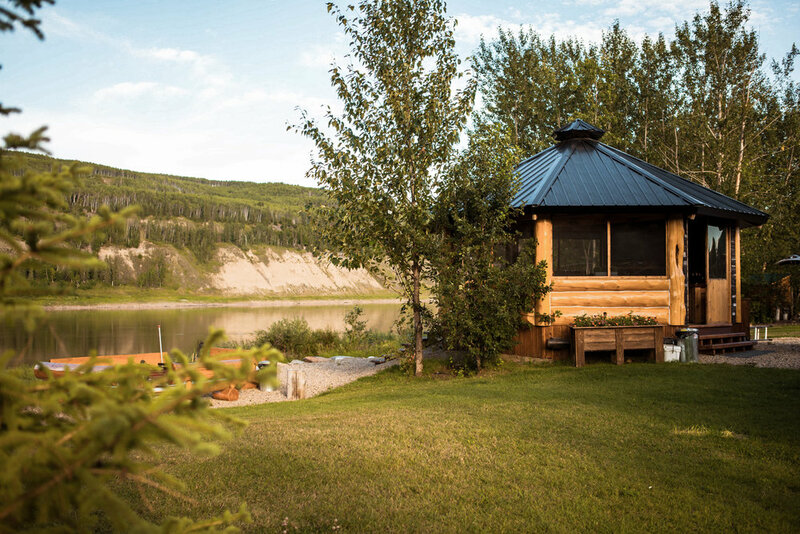 Located in Alberta’s North West corner, Mossy Ridge Logworks knows the value of a well-built home. We work in an 8000 sq. foot shop enabling us to build indoors all year round safely and efficiently. Using only the best quality Western Red Cedar and Douglas fir logs, we provide Custom Built, Hand Crafted Log and Timber frame Homes. We can also Source quality Pine or Spruce logs if requested. From the initial planning to the final logs being set in place, keeping our customers happy and creating the finest products possible are our main goals. Log building is our passion, our attention to detail and craftsmanship are something that we are very proud of. Let our qualified team bring your dream log home to life! We are proud members of the International Log Builders' Association and the B.C. Log & Timber Industry Association, which have a number of resources available to the general public on their websites, including a FAQs and directories of accredited professionals for projects of any size. Mossy Ridge Logworks offers a wide variety of products and services. 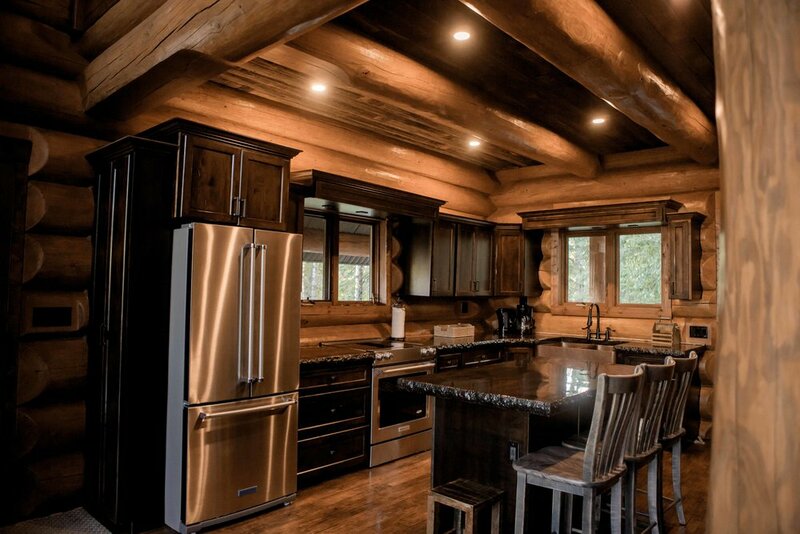 We offer custom built, hand crafted log homes – from full scribe flared cedar to a more modern post and beam. If squared timber is more your style, we build a wide range of timber frame styles – and of course we can build a more traditional style home using dovetail corners. We also provide restoration services. If you have an existing log building that needs work we would love to come and have a look at it. Please check out the short video of the old dovetail building that we restored and is now our office! You have been dreaming about your Log Home for a long time. And it is going to have to suit all of your needs – and wants. Along with our design team, let us help you put your plans on paper. Most every home that we build is built custom to the owners. Please take some time to browse through our sample plans and see what you like. Our reputation as an established quality log home builder is growing every day. We are located just north of Manning, in Alberta’s Peace Region. WE ARE VERY PROUD TO BE A SUCCESSFUL FAMILY RUN BUSINESS. Building to the highest standards and producing the highest quality product available is our goal. In order to build the best product, we need to build with the best material. We import logs from the interior and the coast of British Columbia, buying the finest Western Red Cedar and Douglas Fir possible. 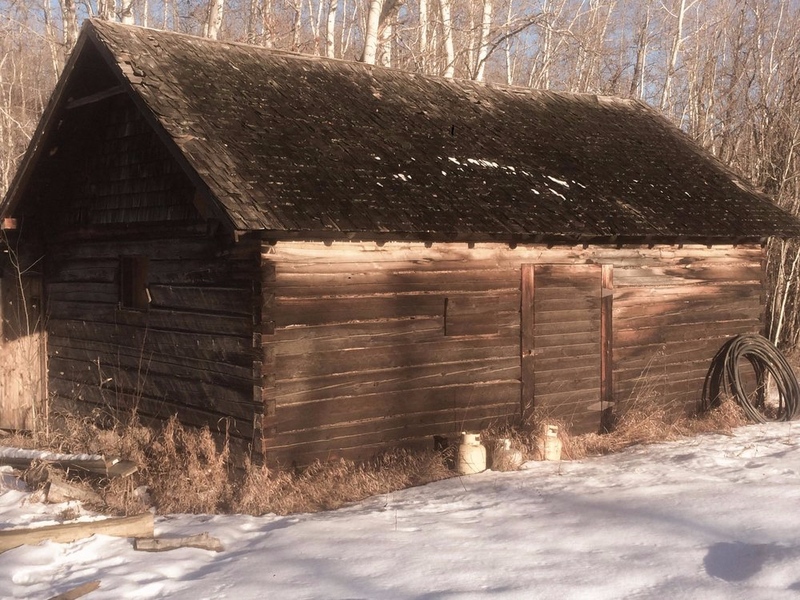 For as long as I can remember I wanted to have my very own log cabin....In 2008 I read a few log building books and took out a permit to harvest logs. With the help of a friend, we fell the logs – That is where the real work began! Lucky enough to get a few pointers from some people who had worked with logs before, I started my journey. At the End of the Summer, I ended up with much more than a cabin I was proud to call my own. I knew what I wanted to do for a living. I wanted to build log homes. With a desire to learn more about the craft of log building I took a one month log building course. And that sealed the deal for me. When I returned home from the course that winter I fell more logs and started building for other people. I firmly believe we never stop learning and we need to surround ourselves with like-minded people. I am proud to sit on the International Log builders Association board, and I am currently the Vice President for the Association. Our small little company has come a long way in the past few years. We have a new shop that we build in 12 months of the year, new equipment and more talented staff members. We recently won the Business of the Year award for the County of Northern Lights. Cassie and I are very proud of the work we do and the homes we build for our customers. whether it is a 3,000sq.ft. dream home or a cabin getaway, we look forward to working with you.